Brrr… it’s been a bit chilly lately — so we thought we’d bring on an early spring and showcase Ashley and Adam’s bright and beautiful real wedding at Parklands, Quendon Hall, shot by STG fave – Claudine Hartzel. 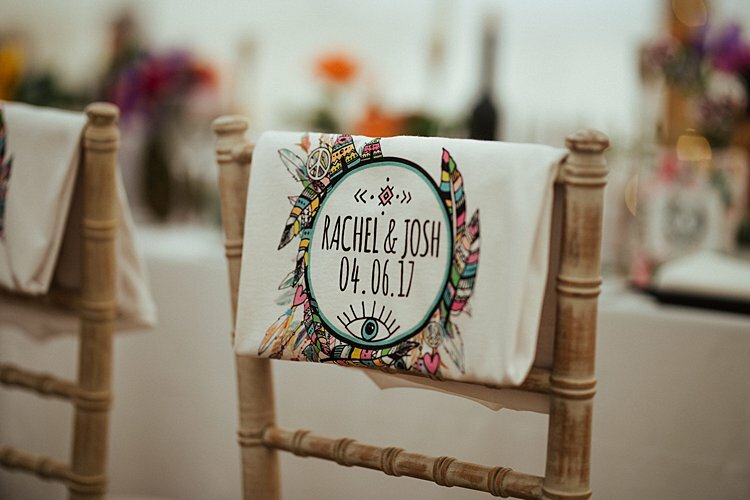 At Smashing the Glass, we absolutely adore personalised details, and both bride and groom happily rolled up their sleeves and got stuck in creating a wonderfully crafty dà©cor scheme that truly made the day their own. 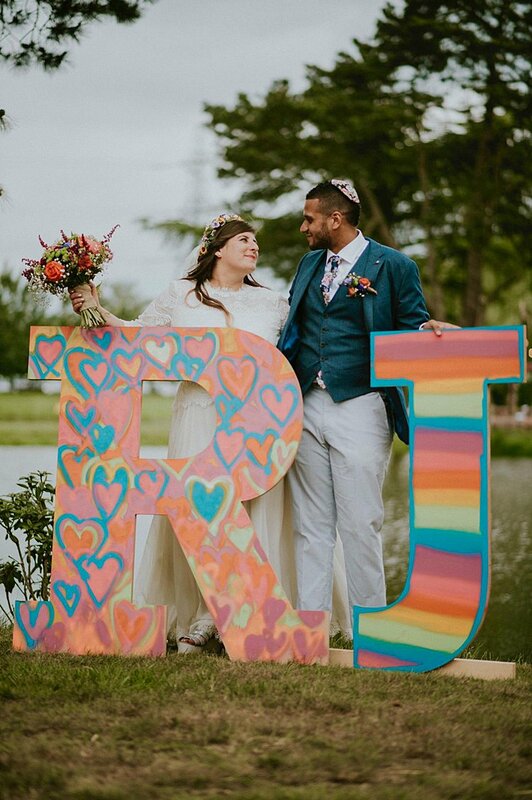 The couple made most of their own decorations, from heart-shaped bunting to burlap-wrapped mason jars, for their relaxed, earthy big day. To commemorate their dreamy hot air balloon proposal, creative groom, Adam, made a model hot air balloon guest book with a mini basket in which friends and family could leave messages for the couple. But that wasn’t Adam’s only project. 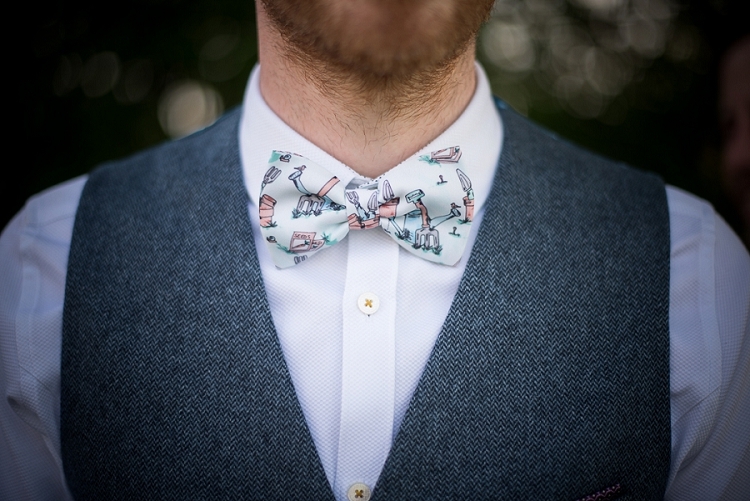 In a romantic move that has set the bar ludicrously high for grooms everywhere (if you listen carefully you can hear a distant, sarcastic chorus of “cheers, mate”), Adam ordered a custom-made bow tie using a design of a painting that Ashley had created for him. 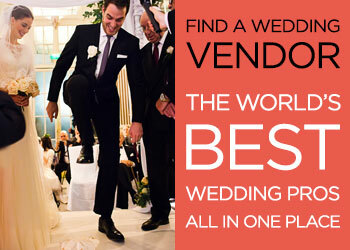 It was a wonderful surprise on the day and Ashley was blown away. 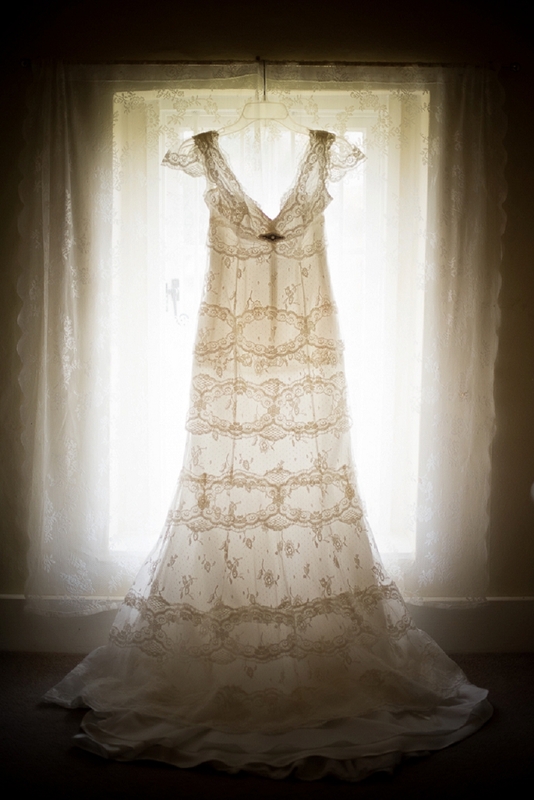 The meaningful details were sprinkled through every aspect of the day. 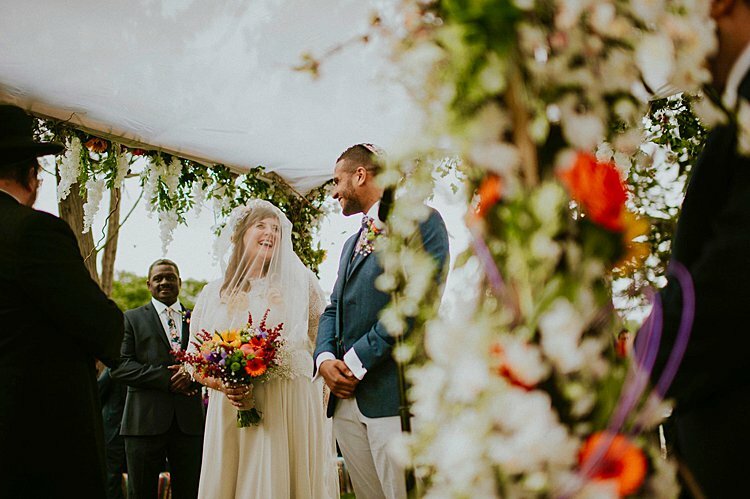 Ashley customised her Cymbeline dress with a vintage brooch and wore a bracelet with a trinket from her grandmother so they she could feel connected. 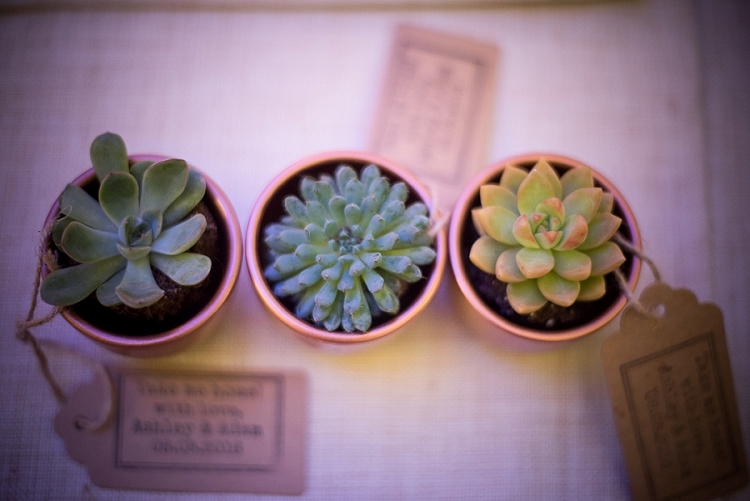 And a final, adorable touch was the hand-stamped mini succulent plants as favours for each guest — a lasting memento of a beautiful celebration. 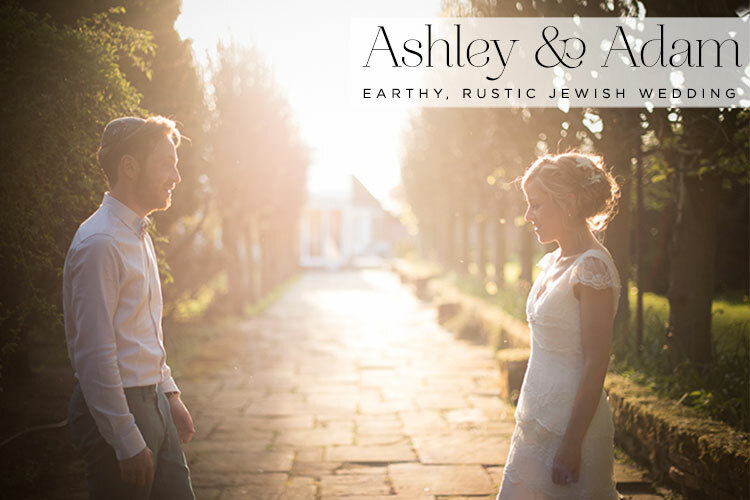 Ashley, the bride: My best friend, Tash, knew Adam from uni. One day she invited me to come with her to his birthday drinks and we were introduced there. 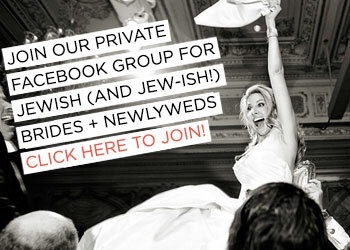 We met again at Tash’s infamous Seder night parties and then we hit it off again on a camping trip with a group of friends – the rest is history! 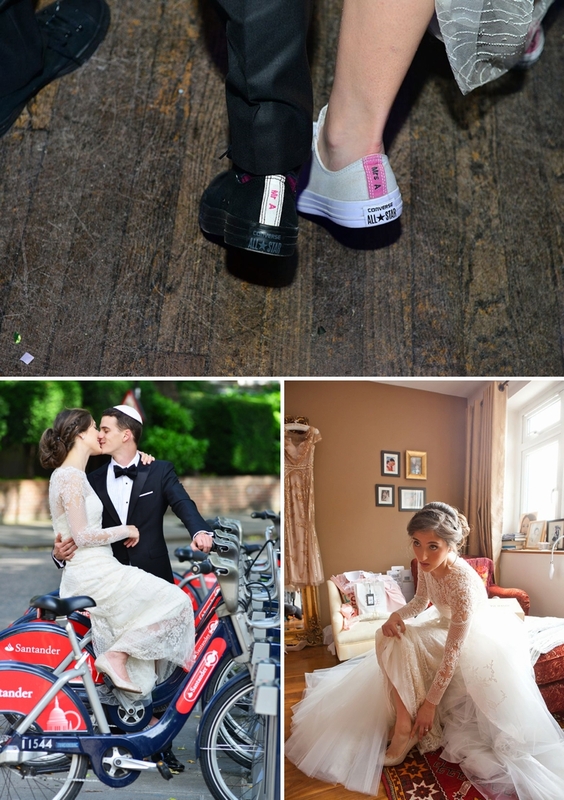 Not only is today’s bride, Dana, a big fan of Smashing The Glass (I always love to hear that!) 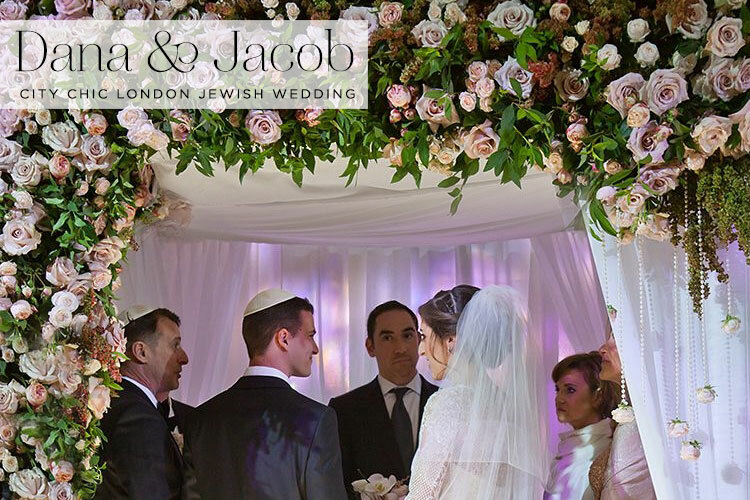 she also found her super talented florist, Gloria Baker, through the blog, and my goodness, what a breathtaking chuppah Gloria created. 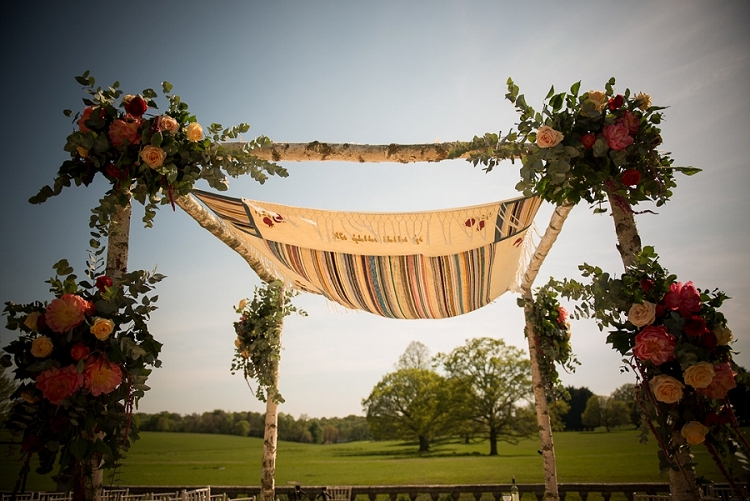 It’s a chuppah to die for. Anyone that’s after a dreamy, romantic, floral look should get their pinterest boards at the ready, and if not, get all old school with a notepad and pen — seriously it’s THAT good. 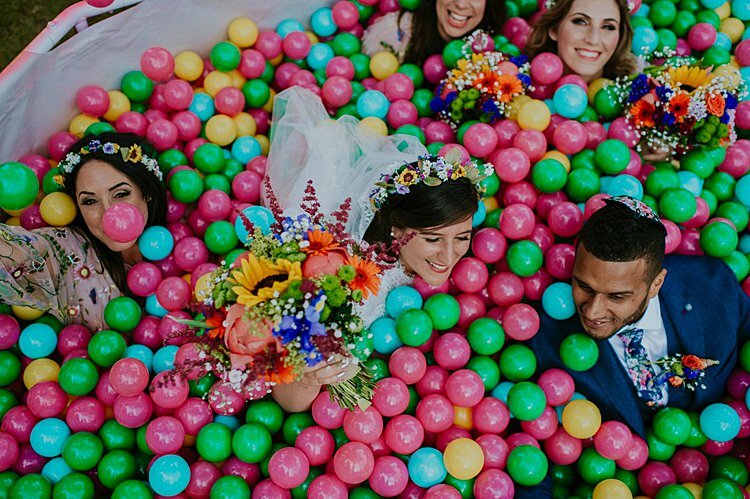 Dana and Jacob married at central London’s Bloomsbury Ballroom and they definitely achieved their aim of creating the greatest party of their lives. 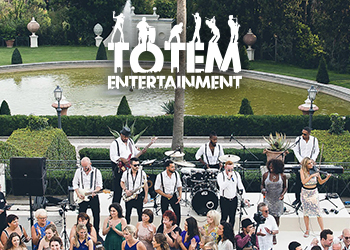 A massive 80% of their guests flew in from abroad and everyone partied so hard you just knew they weren’t working the following day! 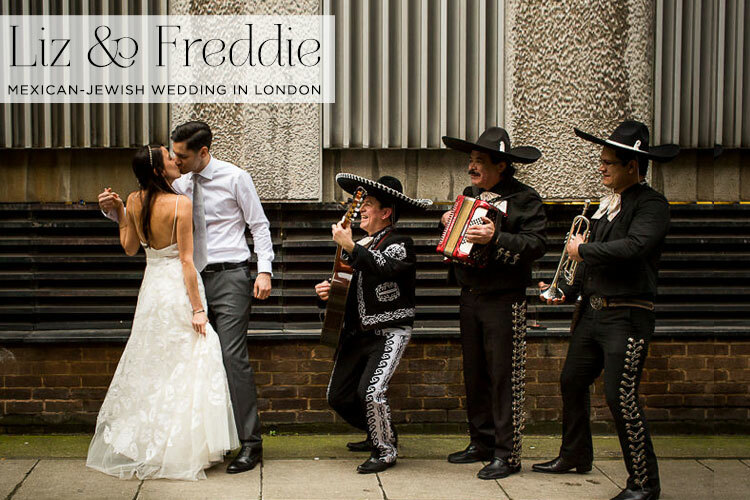 From personalised masks of Dana and Jacob, to flip flop favours, photo booths, and glasses emblazoned with ‘Dana and Jacob’, every dance floor detail was thought of. I haven’t even mentioned Dana’s epic gown yet.. She wore ‘Sarah’ by Monique Lhuillier but she went a step further and got one of the wonderful seamstresses at Browns Bride to create a detachable skirt so that she could completely change up her look for the ceremony and the party. Brilliant! 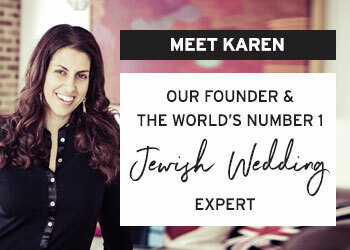 As with almost every Jewish wedding ceremony, theirs was steeped in tradition and ritual, and they managed to successfully combine both Ashkenazi and Sephardi wedding traditions to reflect both their heritages. They also made the decision not to see or talk to each other for an entire week before the wedding! 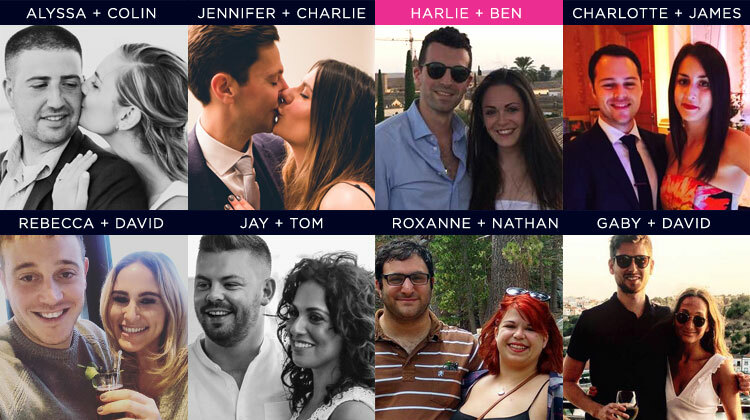 This is one of my favourite religious Jewish wedding traditions, but one that I rarely see carried out (for the full week) these days. 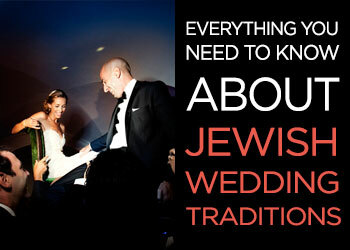 All the images and film are by Shedrin & Rubi, who Dana and Jacob flew in all the way from Israel.